What does your dashboard look like? Not in your car, in your business. KPIs or key performance indicators are the dashboard to tell you how your business is running. 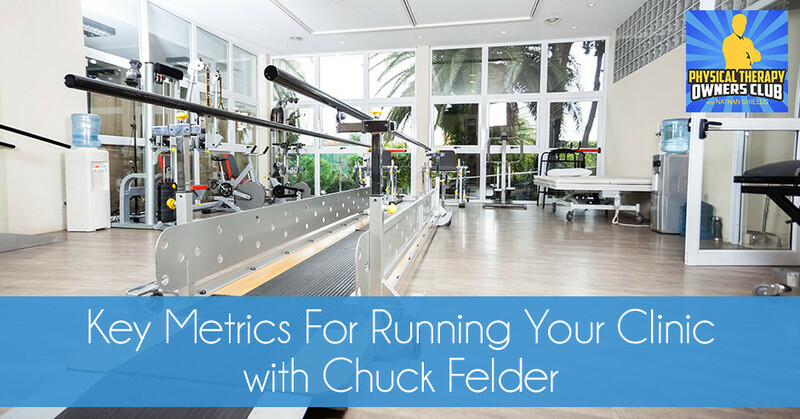 Chuck Felder of HCS Consulting breaks down the key metrics for running your clinic and discusses the importance of tracking and monitoring those. Chuck has used his PT and MBA degrees to become an expert in PT business metrics, and shares his wealth of knowledge with us. Compare yours to his or start building and monitoring your own dashboard as Chuck dishes out some great information to share regarding how to manage PT clinics and how to create a strategic plan around how they’re operating. I have the opportunity to interview Chuck Felder. Chuck has 38 years of physical therapy experience including twenty plus years as a practice owner. He’s earned his transitional doctorate degree in physical therapy and also has an MBA as well as Master’s degree in Physical Therapy and a Bachelor’s degree in Physical Education. He was one of the first people in the country to earn board certification as a specialist in Sports Physical Therapy and later served as a board member of the American Board of Physical Therapy Specialties. He is the Founder of HCS Consulting, Inc., specializing in assisting physical therapy private practice owners and managing the business aspect of their practices. I came across Chuck a few years ago because I found that he is one, if not the only people who was providing benchmark data for physical therapy clinic financials. He takes financial data from hundreds of physical therapy clinics across the country and then categorizes them and shares those with physical therapy owners, so they can see how their expenses compare against the “norms” that he assessed. We’ve used those benchmark numbers quite a bit over the last few years to make sure that we’re not out of whack in any particular area, but it goes to the fact that Chuck has a great deal of perspective as it comes to the running of PT clinics. He recognized three things that he wanted to address with his multiple conversations and consultations that he’s done with physical therapists. Those three things being KPIs, key performance indicators, business plans and budgets. Usually, the clinics that he’s dealing with don’t have a strong foothold in any of those three aspects. In part one of this interview with Chuck Felder, we’ll cover KPIs and the importance of tracking and monitoring those. In part two, we’ll focus on creating a business plan and also appropriate budgets for your physical therapy clinic. I’ve got Chuck Felder of HCS Consulting joining me on the podcast. 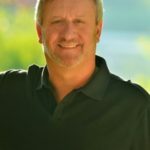 I’ve worked with Chuck a little bit in regard to the benchmark studies that he’s put forth for our profession in the past and we have some great information to share with the PT clinic owners, specifically regarding how to manage their clinics and really create a strategic plan around how they’re operating. Chuck, thanks for joining me. Glad to be here. Thanks for the offer. If you can tell us a little bit about your story, about how you’ve got into physical therapy. You’ve been a clinic owner yourself in the past and then transitioned into consulting and webinars that you’re doing with HCS Consulting. Give us a little bit about your story and background. I first got interested in the healthcare field when I was in high school. I have an issue with heart murmur but at the time, we didn’t know it. I couldn’t play sports and the athletic director at the high school said, “Are you interested in learning about First Aid and stuff and being a boy scout and understand having first aid and everything?” I said, “Yes.” I started to learn about that and became the team manager and started learning about how to tape ankles and do things and got interested in athletic training and that led to a college gig as an athletic trainer. During that time, I realized that I was more interested in physical therapy than athletic training, but I wanted to combine the two. I applied to Boston University and went on to PT school there. There’s so many factors that play into what is it a successful business or not. I went for my Master’s there in their first entry-level Master’s class and then combined my sports medicine stuff. I’ve got a job in California working for a small private school. I move cross country after the blizzard of 1978 in Boston. I moved to San Diego and with that, a small private school that wasn’t well-funded or anything and did that for a while. I moved up to Orange County from San Diego, which I still question if that was a good lifestyle move, but Orange County is pretty nice and got more involved in that. I worked with some setup of sports medicine center, worked with local high school and met some great physicians and started a whole career in that and got asked to be the chief therapist at the USC Olympic Village during the 1984 Olympics in LA. That was really cool. That was a wonderful experience. I had nearly 100 PTs from around the country working for me there. That was cool. It was a great experience. I’ve got to travel and work with the US Diving Team because one of the docs I worked with was heavily involved with them. I had some wonderful experiences that way but also developing my orthopedic skills and everything, working in that area. I imported the McConnell patellofemoral taping stuff to the United States and taught that for years. It was a lot of fun. I was a knee and shoulder guy. That’s what I focused on in my sports medicine stuff. I did a lot of that and then got an opportunity to get involved with a merger of practices and did that and realized that I was now getting a little burned out on clinical care after doing it for well over twenty years. I went back to school and got my MBA and decided that I was interested more in management and business things. When I was in my MBA program, I realized all the things I was doing wrong in running my PT business. We were trained as clinicians, we’re not trained as business people. The insurance companies are relentless and they’re really smart business people. They take huge advantage of us. As a whole medical system, they take huge advantage of us. I started to get involved in, “Let’s do some things there.” I was interested in starting to do some consulting to help my colleagues manage their business better. That’s when I founded HCS Consulting back in 2001 and I got that rolling to help people manage the business side better and provide a bridge between the business side and the clinical side. 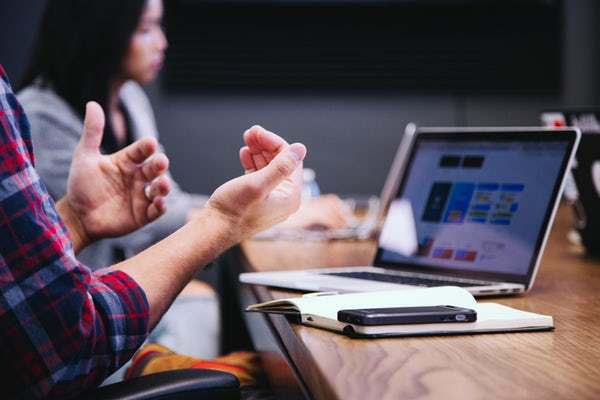 I could do both of those and talk to people in a way that I think resonated with them and help them manage and change what they do on the business side. I’m sure that was hard for you to go through that MBA program and you recognize all the things that you might’ve done wrong or didn’t even know about. What were some of the stark realization that you came across as you went through that MBA program that you wish you had known when you owned your PT practice? Probably the biggest thing was the KPIs, understanding the key performance indicators and how you use those. As PTs, we know what those are for our patients. We know what to do for our patients. We may not talk about it in those terms, but we set our goals and we do our things. I talked and I’ve looked back and realized I’d never set solid goals for my practice. I didn’t have real consistent numbers that I was looking at. I was a numbers guy. I was looking at numbers but it wasn’t organized and that was the key. It’s like, “How do I organize this?” In my consulting work, I run across some practice owners that are inherently good at that. A lot of them that have no clue about that, yet they’re running successful businesses because of the environment they’re in or the situation that it is. It’s a combination of those hard metric, the relationships you’ve developed and how you manage your business. There are so many factors that play into what is it a successful business or not. Key Metrics: The biggest thing is understanding the key performance indicators and how you use those. I don’t want to say you had it easy back then but it was probably more important now to be on top of your KPIs or at least know them so that you can manage your business well as compared to 30 or 40 years ago, when you had a successful business practice and might not have known these KPIs and so you went to MBA school. Am I right? I agree with you. I don’t know if it’s easier. It clearly is different now. There’s a lot more pressure on you from a business standpoint than there was in the past. It’s still critical to understand and manage your business, in particular your profitability and your cash flow. Far too many practice owners managed by what we like to call the checkbook method. If there’s money in the checkbook, then I’m okay. That works to a certain extent, but it’s not the ideal way to manage your practice. That’s what I learned in the MBA program is the importance of planning, developing those KPIs, putting it together, having a system in place, The E-Myth books all about having systems and everything are excellent resources and ideas to think about. There’s a lot of excellent business information out there that most of us have never been exposed to because we’ve been so busy on the stem courses that we never thought about the business stuff and yet we’re running them. The key point is to start to manage your business a little bit better. I find that when people start to practice, sometimes they’re not into that at all. Then they start to get into it a little bit as it grows. Once they hit about $1 million in revenue, then they start to get a little more serious about it because they realized that some serious money and that. People could get to that million-dollar level a lot easier if they did it in the beginning. They would save a lot of heartache and as I’ve interviewed some of these owners, it’s taken a certain point of burnout before they get to the point where they start looking at numbers and systems. Hopefully, this can accelerate that and avoid the burnout that comes with just running ragged by the seat of your pants essentially. Often, I’ll have somebody contact me who’s learned about me through someone else and said, “I need some consulting work. I want to work on this, I want to work on that.” They’ll have a few topics they want to cover, which I’ve learned most of the time. Sales, if you just work on those topics, if you don’t work on the big picture first, it’s the old forest for the trees analogy. It was interesting very often they’re so involved in patient care that they can’t even schedule a time to talk to me during normal business hours. They want to do it at night or they want to do it on the weekend. You can’t run your business as a hobby. It’s got to be part of your business day. You need to schedule it. One of my first things is to break them of that habit. It’s like you can’t run your business as a hobby. It’s got to be part of your business day. You need to schedule it, and if you’re not scheduling it and you’re not taking time out of your normal day to run the business, you’re ultimately going to fail, unless you have good people you’ve hired that are doing that for you, which is fine too. You can delegate it and stuff, you just can’t abdicate it. You have to delegate it and monitor it. Two years ago, I did a presentation at PPS on how people lose their assets because they give too much power and they don’t oversee and someone steals from them. For small businesses, that’s a prime problem. I had examples of everything from a few thousand dollars being stolen to hundreds of thousands of dollars being stolen from practice owners over time because they didn’t monitor. The message is clear. They have to schedule time for their patients, they have to schedule time to manage the business. Even if they delegate, it’s important that they sit down and oversee the KPIs that we’re going to talk about. It’s important to oversee and monitor the overall health of the business and the people that they have delegated things too. It’s delegation. It’s not abdication because if you abdicate your role as the leader, then your prime suspect for getting stolen from or not being aware of what’s coming in the future. You need to be able to not only see what’s going on in the health of your clinic as it currently is, but what does that projecting in the next few months and what’s coming to your clinic, your environment, your area over the next year or even more. It’s important to schedule at that time. You brought up the E-Myth books. Are there other books that you regularly recommend? I don’t have a list of books handy and off the top of my head, but there are some relationship management books and customer stuff. Fish is a great one from the seafood market in Seattle in Pike Place Market. I wrote a great book on management and customer relationship called Fish. It’s a good book and there are some other ones, but I don’t have them off the top of my head right now. The important thing about E-Myth is creating systems. Creating systems means you’re creating a business that is doing things the way you want them to be done and you can replicate them, and you can trust the process. If something falls out, you can go back to the process and see, “Did we follow the process or is there an issue with the process itself?” Usually when there’s a hiccup, it’s because someone didn’t follow the process or there’s not a process in place to manage that. The concept of managing systems is probably a key one to help people avoid problems and have a smooth-running business. For a long time, I was so involved in the business and running it on a day-to-day, hands on manager style, which is pretty common for small business owners that when I was recruited to do the Olympics, I was going to be out of the office for six weeks. I was like, “How can I do that?” I had a good staff, I had good people and I just needed to change how I worked with them and what I did and it worked out just fine. It took me to a story somebody told me long time ago about taking a bucket of water and stick your fists into it and then pull your fists out in the hole that’s left is how much you’ll be missed when you’re gone. That tells that you may think you’re important and your critical, and you may well be, but you also can be replaced. Set the structure so that you can’t be replaced. Key Metrics: The concept of managing systems is probably a key one to help people avoid problems and have a smooth-running business. One of my goals in my consulting work with people is for my clients to fire me. Ultimately, they’ve learned enough, they’re doing it themselves. They don’t need me anymore. It doesn’t mean they don’t want some outside input because being a practice owner can be very lonely. Who do you really talk to? The idea behind your podcast. An opportunity for people to interact with similar people that are handling similar pressures and issues and stuff. Sometimes a consultant is the best way to do that. Sometimes a group of peers. There are lots of different ways to do it. That’s my mantra with the podcast is just encouraging physical therapists to step out, to reach out and to network. They need to step out of their practice or out of the everyday grind. They need to reach out to consultants or other resources or even their CPA to give them some guidance on their financials if that’s what it takes. Reach out to the books and the resources that are available to them and network and recognize that you’re not alone. There are plenty of people in the industry that are going through the same thing and there are plenty of people that have gone through the same problems and so you don’t have to reinvent the wheel. We want to talk about KPIs. That’s one of the main things that you came across as you’re studying for your MBA is the lack of KPIs that you had in your business. Will you share with us what you think some of the more important KPIs are? The real drivers of a practice are new patients and visits, everything goes from there. When I do a business plan with someone and I use the one-page business plan process that was developed by Jim Moran in San Francisco area. Jim was a CFO of companies and he developed this concept to make it simple because in my MBA program we did a business plan. It took five of us, six weeks and it was 100 pages long and it was crazy. Now, we can do that one page as the focus of it. You can have supporting pages, your budget and some other things, but it’s really one page that it focuses. That one-page plan process works well, and we’ll talk about that later. The key metrics in that process, you have up to nine metrics that you’re going to measure, nine objectives you’re going to measure each month and look at and track over time. The key to me is tracking things over time and looking at the trends and so you need to do that. New patients and visits are the first two that I require every person that I work in business plan with to do. The next two are gross income and profit level. Those four metrics, if you don’t look at anything else, look at those four on a consistent basis and you need to have a good handle on those and why they vary and when they vary. What you can do about fixing it. Do you usually recommend people to track those on a monthly basis or even a weekly basis? When I’m coaching with somebody, we look at them monthly. If you want to keep on track of your practice and look at things, I think the weekly metrics are critical. Two other metrics that I think are really important to look at is arrival rate, how many people that are on the schedule actually show up and percent capacity I call it, which is I have ten available slots. How many of those slots were filled when I started the day, so you know if you’re having difficulty scheduling people. Looking at those four metrics: new patients, visits, arrival rate and percent capacity every week, will really help you manage your business and see the changes that are going on week to week. In mid-month, you’ve got too much variability going on. Profit and income, month to month is enough. I have clients that just love to track their income every week, “How much income came in?” That’s important. That’s a critical one to track. There’s an important one there when you’re talking about percent capacity, and I haven’t considered that important until later on in my ownership because it’s that percent capacity that leads me and maybe you have a different perspective on it, but it leads me to know if it’s time to hire the next person or if it’s time to expand. You don’t want to have a low percentage of capacity and then think, “I need to get another therapist and just go off a feel based on that statistic.” It is when I can see, once I meet a certain percentage, at least 90% capacity or whatever number you want to make it, is a time which I know that I need to hire another therapist and maybe push my marketing efforts a little bit more if I’m going to bring someone else on. Is that how you use that percentage of capacity statistic? It’s still critical to understand and manage your business, in particular your profitability and your cash flow. That’s one of the key uses of it is knowing, because any practice or anyone that’s ever have employees knows that no employee almost ever come to them and says, “I need more work to do. Everybody’s always busy.” If they see three patients in a day, they’re busy. If they see twenty in a day, they’re busy. The work we have fills the hours in some way and occasionally you get people saying, I could do more, I want to do more but that’s not the rule. The more common thing is everybody’s busy. Their capacity might only be 60%, 70% but they feel busy and then there are other people their capacities are 90%, 95% and they feel busy. When you crossed the 95% level consistently, you lead to burnout, you have problems. You’ll lose business because patients can’t get in, there are no openings to get in. If you’re consistently below 90%, in my experience, you begin to have financial problems because you’re not generating enough revenue consistently to make the process work properly. It’s a relatively narrow band. The data on it is limited because most people don’t track it. It’s hard to get data on it. I think it’s an important piece and some of my most successful practice owners that I’ve worked with had an innate feeling of it and/or they were looking at the schedule in advance and they were pushing things and they just had a sense about how many openings there were and whether that was right or not. You can quantify it by measuring the percent capacity on a consistent basis and looking at it over time, whether you do it weekly. This one and arrival rate are both particular tools that are great to measure weekly and most of the software don’t measure it well or don’t measure it at all. It requires a manual technique to measure, to give consistent, accurate numbers. Key Metrics: Once you start to show people where they stand, it’s amazing how they’ll start to take ownership of it and do it. PTs are smart people and they’re generally somewhat competitive because that’s the only way they got into school and through school. They may not think of themselves as competitive but they are or they wouldn’t have all those high grades and everything else. Once you start to show people where they stand, it’s amazing. Human nature will take over and they’ll go, “I don’t like being at the bottom of the list. I want to be above average. I want to be better than average. I’m better than the average.” It’s amazing how they’ll start to take ownership of it and do it, which is why I think it’s critical that those kinds of measures should be tracked by the individual PT and should be reported by them. They’re responsible for that and if you have an admin person that just gives it to them all the time, then it doesn’t have the same weight as when they are looking at it themselves. That gave them immediate feedback everyday of how busy they were and what they did and they could see it. Then we would compile that and give them feedback on a regular basis over time because Monday was always better than Fridays in terms of your arrival rate. It’s getting a sense of it and look at it and you’ll start to understand that you can influence it. It’s not just the front desk that control scheduling, you control it. Personally, I’m a believer in giving everybody feedback on where they stand and what they do. I have no issue with posting every individual score along with the group’s score, but some clinic owners are sensitive to that because certain of their employees may get upset when they see that they’re consistently low. I also think that peer pressure plays a little part and they can understand it and deal with it and then if they understand that they’re not going to be fired because of this but here’s some feedback and some ideas, let’s all try to get better. It all depends on the attitude you presented with and how you work with it. 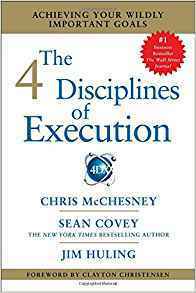 There is another great book out there, The 4 Disciplines of Execution. I got introduced to it by a friend and that has a whole thing about tracking stuff on a consistent basis and giving feedback to people. That has a whole ton of research behind it about why it’s valuable and that stuff works when you have people doing that and you share everybody’s, so no given person is being singled out. Part of it is if a given person is consistently off, maybe it’s time for them to be managed out of your organization. If they are consistently off, they might just manage themselves out of the organization. Which is even better because most PTs aren’t happy firing people. It’s not part of our personality. We’re a little too compassionate sometimes. There are times when you need to do that. When people need to move on, it’s not a good fit. You mentioned gross income and profit levels. Something that helped me begin to become a better owner was monthly sit downs with my CPA. Is that something that you recommend or is that something that people just inherently do? How do you recommend that they get familiar with their financials? It’s critical that an owner is reviewing their financials every month and that they’re looking at them over time, not just every isolated month. Typically, when you sit down with your CPA, they’ll talk about last month and they might talk about year-to-date. It’s critical to look at it every month over the last two years so that we do a graph in our dashboard that shows the last two years and it shows the current year. We chose the goal for the current year and then it shows what you did the previous year, all in one chart by month so you can get a quick glance and you can go, “We’re doing better. We’re not doing so good. We’ve had a big dip here. What’s going on? How can we explain that?” That’s critical and it’s also critical that your P&L makes sense to you. That was one of my huge takeaways from the MBA program when were in a finance class called Managerial Accounting. Your CPA does tax accounting. They put everything in the form so that they can report taxes. 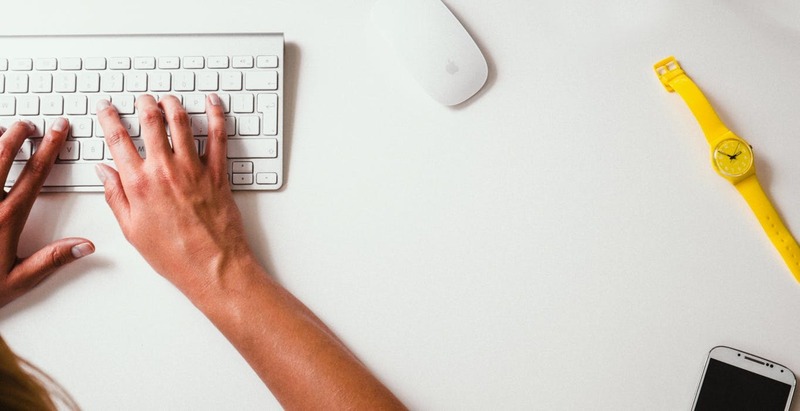 If you use QuickBooks, which is the de facto small business financial thing that everybody’s using, whether it’s online or desktop that you’re using, it sorts everything alphabetically. We came up with a concept that I’ve used for my benchmarking study. I talked about it in the PPS videos that I did on finance that are free if you’re a PPS member. They’re available to you on their website. There’s a whole series of them. We put everything into three major categories. Labor, which is our biggest expense as a service industry, variable and fixed. If you put 100 CPAs in a room, they’re going to all have different ideas about what goes in each category. Some similarities but some differences. The way I defined it is the labor costs are all the wages, the benefits and the taxes that you pay. If you outsource your billing, we throw that in there too because otherwise you’d have to hire more people because that was throwing off the numbers when I did my benchmarking study. All of that goes in labor. If you’re part of a multi-clinic thing, any shared expenses go into labor too, at least the ones related to labor. Then variable expenses are those things that you can readily change pretty much whenever you want to and or they change based on volume. Advertising, supplies, outside services, things like that, that you can easily change, postage, et cetera. Fixed expenses, there’s almost no true fixed expenses in any business. Even your rent changes every year or your building cost or whatever, but fixed expenses to me are things that are essential for running your business. You’ve got to have a facility. You have to have tax services and accounting. Nowadays, you have to have an EMR and a computer service and things like that. You have to have a telephone and internet and all that stuff. You have to pay dues for certain things. You have to have a merchant account for your credit card processing. All of that goes into fixed. We have these major categories and when I coach somebody, when we look at the P&L, first thing we do is look at it in what we call collapsed format. It shows the income, it shows labor, variable and fixed, and we look at the percentages of each and if all are in line with what our targets are, we’re done. We don’t have to look at the P&L anymore, everything’s good. If it’s not, we expand it and then we start to look at the detail and then we look at it compared to budget and then we can nail down what’s causing us not to have the financial performance that we targeted and that’s critical. It’s important. If a given person is consistently off, maybe it’s time for them to be managed out of your organization. The other thing that cracks me up is I regularly look at P&Ls for practices and labor cost as one-line item. There’s $1 million practice, and labor cost is $500,000. It’s one-line item right next to postage that is $1,000. Don’t you think it’s important to split out that other one a little bit more and understand? We split it by job category, all the licensed to people, the PTs, the OTs, speech, individual line items, your assistance, all your licensed people are in group. Then your tax, your unlicensed patient care helpers and then your admin people. For me, admin people are everybody that doesn’t touch the patient but plays a role. Some people want to split that out more. They want to list their builders and their front desk but most practices they do multiple tasks so it’s hard to split up. Just the whole idea of what all your admin people are doing. That’s a critical step, splitting that out. The payroll services, we all handle that. You just have to tell them, “This person is a PT and they go in this category and this one is tech and they go in that category,” and you just do it. If they’re in multiple offices, you’re tracking their time. You can split it across multiple offices, you can do all that. That’s the critical is understanding. You don’t have to do the day-to-day work but you need to be looking at those financials in one month and your CPA may or may not be a lot of help on that but as you work with it and you work with your managers and your practices and stuff, you’ll start to understand and know what to do with it better then use the CPA to answer the tax questions and help you figure out the best ways to save tax dollars. As a general rule of the thumb and maybe you have this, maybe you don’t, where would you expect a person or a clinic’s percentage of labor be in comparison to their gross revenues? That’s something that my partner and I have tried to nail down in here in the last couple of years. I’ve got some varying ranges but a relatively small range. What do you recommend that your labor be in comparison to your gross income? I’ve heard people talk about this and I remember early in my career talking with my colleagues about it and sometimes they would give me numbers and they’re like, “My profit is 60%,” and I’d go, “My profit is 10%.” Then I looked at their P&L and I’d realized they’re not paying themselves. They’re taking a draw, so it’s not appearing on their P&L. I said, “What about all that labor you did in the practice?” Step number one is the practice owner has to put themselves in his labor, whether they take a W2 because some legal structures, you don’t take a W2 or your CPA for taxes reason want you to take draws and not as W2. In your P&L, you have to show the labor cost for an owner. If you don’t standardize that, then comparing percentages or talking about things means nothing. If you took $50,000 as your wage and I took $100,000, that’s going to make a big difference on our profit and our percentage of labor cost. For the benchmark purposes, I standardize the owner’s wage at $102,000. I came to that years ago by using the FICA wage limit for a while, then that kept creeping up. While our industry really didn’t change that way so that that number could change and be reflective of what it would truly cost to replace the owner. I started thinking about it as, “What’s the replacement cost?” In most geographic regions, $102,000 a year, if you’re doing full-time work, is a reasonable number. In some, it’s too low and in some it’s too high but it works for everybody. That’s what we do. We standardize the owner’s wage, assuming that they’re working full-time and that they’re doing some patient treatment as part of that. If they’re doing more than 40 hours a week in patient care, then I increase it because they’re generating additional revenue. We just prorate it. I’ve had some ones that consistently treat 50 hours a week, so we’d make their number higher. Once you standardize the owner’s wage and you pull out any owner’s perks, things that they pay for themselves that they wouldn’t pay for a manager. When you standardize all of that, then the wage cost, including all those things should be somewhere between 60% and 65% of your income. If you get below 60%, you’re doing awesome. If you’re over 65%, you’re probably spending too much money on something. You could be admin heavy. You could maybe have an extra therapist that doesn’t need to be around based on that percentage of capacity. It can tell you the number of things but at least it tells you that you need to look into something when your percentages get up. The worst possible scenario is that your gross income is down significantly and that will drive your percentage of labor up. Tell me what you and your partner came up with as you’ve been looking at things. What numbers did you consider appropriate? It’s hard but we try to keep it at 50%. What about your owner’s wage? Have you accounted for that and are you tracking that like I talked about in similar way? Since we’re not doing any treating where we were under the executive category. You still have to have that shared costs in there. You’ve got something in there for that shared cost stuff. I find that people that have multiple clinics and are doing more than $2 million or so in revenue a year, their percentage can drop. It can also go up because they get too many admin stuff and things going on. If you’re below 50%, to me that’s ridiculously good, almost. I’d have to look at the P&L. You may think you’re important and you’re critical, and you may well be, but you also can be replaced. They might not be standardized. Standardize, that’s the key. I have a colleague who runs lots of clinics and they have all their managers in each location. Their target is 45% but they’re not including the home office costs and other things in it. It’s just their local costs. I can understand that fine. They call it wages and benefits, so they’re isolating what they’re looking at and that’s all fine. The key is that you know what you’re going to call it and you work it out consistently and you monitor it over time. That’s what’s important. Then you look at your ultimate profitability and are you at the target you want to be at. We talked about a number of KPIs, total visits, new patients, gross income, profit level, arrival rate, and percentage of capacity. Any others that you want to touch on? A critical one is cost per visit. If you don’t know your cost per visit, you don’t know when to say no to a contract. All too often, PTs are saying yes to contracts because they don’t know their costs or because they’re acting out of fear. I’m afraid of losing those visits. I make a joke when I talk about this often. I say when that patient comes in from that low-paying contract, just hand them a $20 bill and tell them to go home. Then you can sit down and have a cup of coffee while you’re losing money. It’s critical to understand your costs. That doesn’t mean you don’t want to take some contracts where you know you’re losing money, you’ve got a business reason for doing that. Maybe you just want to do pro bono care. Maybe you think that relates to more referrals and other areas. There can be a variety of reasons why you’re willing to do that. All too often, I see practice owners just accepting whatever contract comes across their desk and that leads to a downward spiral of our whole industry. It leads to people doing illegal things because, as one of my early partners told me, “I’m happy to provide you with $50 worth of care. I just can’t give you a $100 for the care for $50.” That’s true. If our costs are $70 a visit and we accept a contract at $50, we can’t give that person $70 worth of care. We can only give them $50 worth of care. We can’t stay in business if we do give them the $70 and we’re only getting paid $50. If we go out of business, bad people say, “We’re healthcare professionals. We should treat patients the same and everything else.” I go, “I agree with you but the reality is you can’t.” We can’t treat everybody with the gold standard when we’re only getting bronze. It’s really important to understand that and health professionals do it, whether they admit it or not. The hospitals do it, the docs do it. They changed their level of care based on the person’s ability to pay and other things. That’s taken a bad rep in healthcare but every other industry that’s accepted standard norm. It’s what the insurance companies do all the time. You want to buy a bigger policy, you pay more, you want to buy less coverage, you pay less. We have to find a humane and appropriate way to do it, but we have to do it. If we don’t, then we’re not going to be in business and patients don’t have anybody to go to. It’s something that each individual practice owner needs to know. It’s also a benefit for our profession as a whole. If we simply had better idea of what our costs are per visit and took a stand to say, “No, I don’t want to take that contract because I’m going to lose money on it. I can’t stay in business. I can’t support other physical therapists and I can’t treat more patients and provide more physical therapy care in the long-term because I’m going to be out of business,” I lose an opportunity to help the community. I lose an ability to help patients that come through the door simply because I can’t make money. Key Metrics: Say no to bad contracts because you don’t have to sign them. 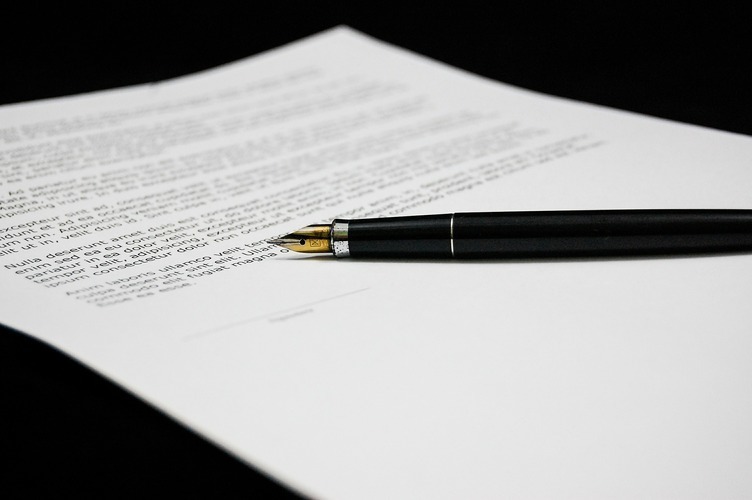 Say no to bad contracts because you don’t have to sign them and it’s a problem and you can negotiate them. They’ll give you a lot of feedback on that saying they don’t negotiate, they don’t do stuff and you say, fine, I won’t treat your patients. They need us more than we need them because if they don’t have a network then they can’t survive in that state. If more and more PTs stood up and said, “No, we’re not going to take that, then they would have to pay more.” It’s hard to do, I understand it. I had one other metric that’s critical. Another metric that’s critical is AR. You need to know how fast your money is coming in and you need to look at that metric so that you understand what’s going on in the accounts receivable side. I’ve dealt with far too many practices where the in-house biller or the outsource biller was bringing enough money that the practice owner didn’t feel the pain, but they weren’t bringing in all the money. The next thing you know that money is uncollectible and you did the work, you deserve the money but you didn’t get it because they didn’t follow up. It’s critical to have an AR metric. Days in AR is the best one, but there are multiple metrics in AR that you should be looking at. If you’re considering that you’re looking at your financials monthly, you need to be looking at your billing reports monthly, whether that’s in-house or outsourced. You need to have an expectation of a certain percentage of collections days in AR. There need to be regular reports coming to you that you need to be looking at to see how well your collections rate is doing. That’s where we talked about new patients being the fuel for your clinic. If you don’t get the money in the door, then you’re out of business. You need to be looking at monthly billing reports that are generated by the biller, by the EMR if you can or the outsourced company to provide you the days in AR, the age reports and those kinds of things on a regular basis because it’s based off of those things that you’re going to figure out. We talked about the cost per visit, but what’s your reimbursement per visit on a general rate? That way you can see what your profit margin is per visit, “I might be losing money. Am I making $20 a visit for each patient that comes in the door?” There are a lot of things here that need to be compared to your financials. We’re covering some of the key metrics. There’s a whole bunch of that in the dashboard that I use. We look at eight key metrics because that works out well for graphing and everything. 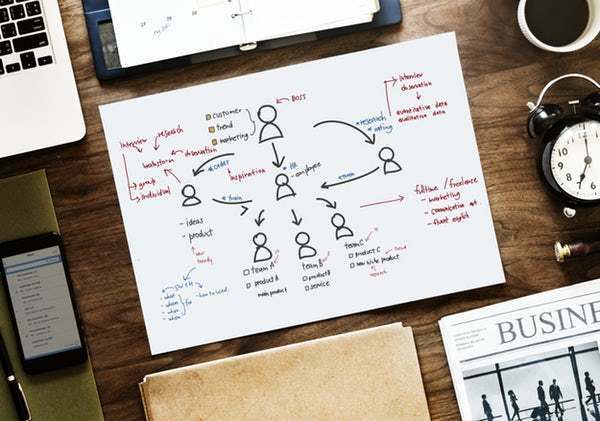 The business plan, one-page plan does nine key metrics because of their stuff, but if you look at more than eight or so, you start to get lost. As you get more sophisticated you can sometimes look at other ones for specific reasons. My dashboard probably lists 35 different metrics you can look at when you want to, but there’s eight of them that we track on a month to month basis. I like the term dashboard. We always hear it, but you are driving the clinic, you are the leader. You’re looking forward and you’re looking at the dashboard, looking at some things to see what is currently doing. It allows you then to look forward through the windshield of what’s out there in the future and what can I project based on the number of new patients that I have? Can I expect that revenues are going to be higher or they’re going to be lower in the near future? What do we need to maybe ramp up marketing if it is to be going down and whatnot? It’s important to remember that these metrics are important for the management and leadership of your clinics. That’s it for Part One of my interview with Chuck Felder. Stick around for the next episode, Part Two. We will talk about creating business plans and budgets for physical therapy clinics. Look out for that. In the meantime, I’d appreciate it if you subscribe and more importantly rate the podcast on iTunes. I’d appreciate it. Mr. Felder has over 34 years of experience in the healthcare field as a physical therapist with 20 years as a practice owner. Chuck has extensive experience working with business owners including various types of business legal entities, exit strategies, and succession plans and in 1998 successfully sold his own physical therapy practice. He was one of the original importers of the McConnell Patellofemoral Treatment Plan and was a principal in the continuing education company that trained over 5,000 therapists during the 4 years he was involved. He was one of the original importers of the McConnell Patellofemoral Treatment Plan and was a principal in the continuing education company that trained over 5,000 therapists during the four years he was involved. Chuck has experience in exit strategies and succession plans and in 1998 successfully sold his own physical therapy practice.